A huge number of Barnacle Geese (and there were many many more not in the picture) lifting off after having been spooked by something at Loch Gruinart. The cows just continued grazing despite the amazing noise by the geese. I took this picture from the new hide at RSPB Gruinart in October 2013. 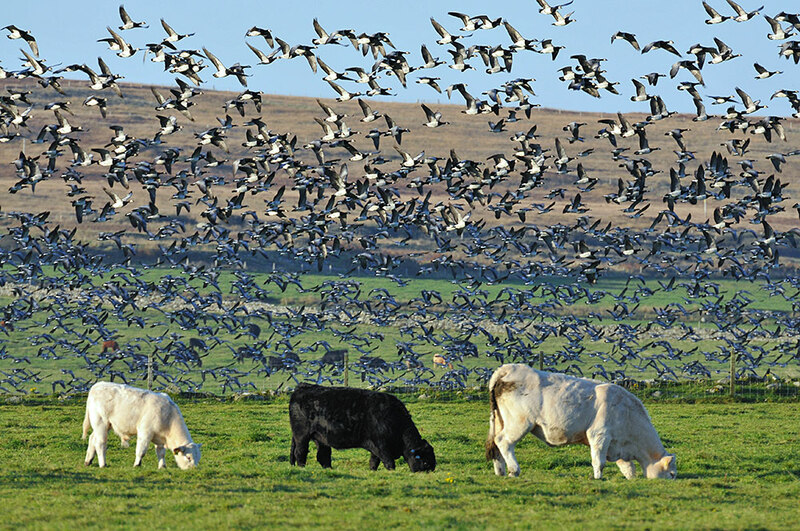 This entry was posted in Landscape, New Post, Sunny Weather, Wildlife and tagged Barnacle Geese, cattle, Gruinart, Islay by Armin Grewe. Bookmark the permalink.